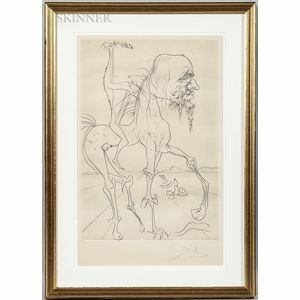 La Chimera D'Horaci (The Chimera of Horaci), 1973, edition of 261, published by Fondation Picasso-Reventós, printed by Joan Barbara (Michler and Löpsinger, 591). 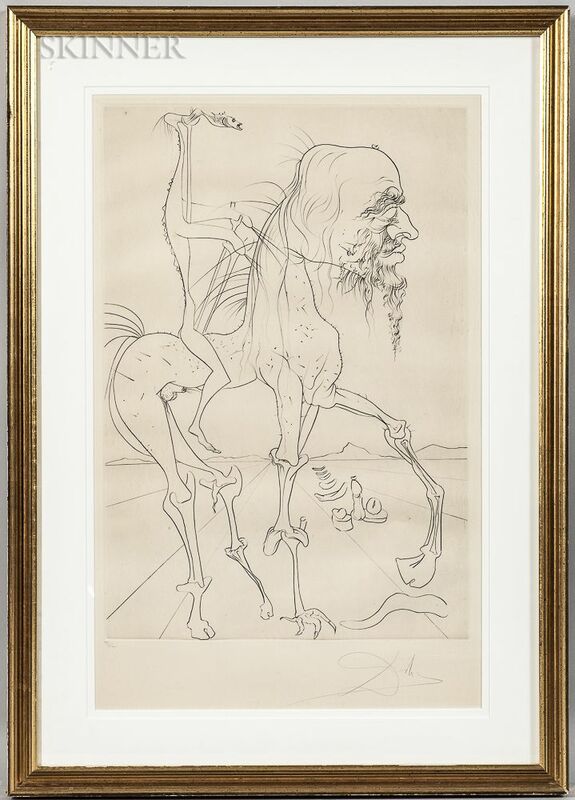 Signed "Dali" in pencil l.r., numbered "97/261" in pencil l.l. Etching on paper, plate size 26 x 18 in., framed. Condition: Scattered fox marks and staining, gentle rippling, not examined out of frame.